Dynasties battle for the crown in Tessa Gratton's debut adult epic fantasy, The Queens of Innis Lear--based on William Shakespeare's King Lear. TESSA GRATTON is the author of the Blood Journals duology, Gods of New Asgard series, and books on writing fantasy for teen writers. She currently works for Serial Box Publishing as a lead writer on Tremontaine. She’s lived all over the world before returning to her prairie roots in Kansas with her wife. 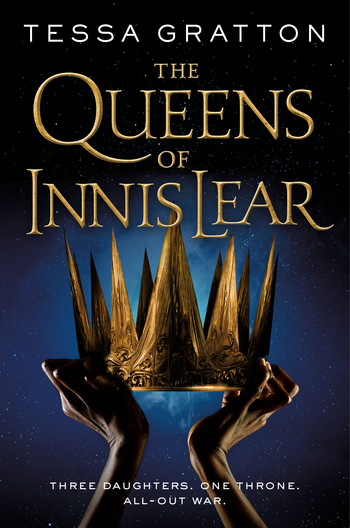 The Queens of Innis Lear is her debut adult fantasy novel.